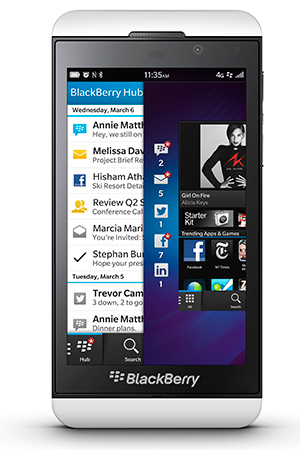 BlackBerry Z10 Review | CrackBerry.com - And BlackBerry has yet to relive that specific size in a device. No sleep till BlackBerry 10!! And that is the main reason why my next phone won't be a BlackBerry, there next phone will be extremely long and have a PKB. The Z10s size is perfect for me, BlackBerry just needs to fit more screen into the frame by having the screen go all the way to the edges. It was cut for him. And he bought us drinks that night! ^^^^ This was a reply to Bla1ze statement " - And BlackBerry has yet to relive that specific size in a device." Got 2 Z10s. 1 with a broken digitizer and one I use for dev. I like the z10. Great phone! Love mine! They will have to pry out of my hands one day. my Z10 is three years old and it has been excellent, just had a new battery otherwise problem free and still meets my needs. Love the news out of Apple this week...the new iPhone model to launch will have a 4" screen. Brilliant! Hey, since I have my Z10, I'm finally feeling ahead of the smartphone development curve! Ha, I thought the same thing when I heard that. My Z10 is still going just fine. I remember my anticipation and calling AT&T the day it was available in March. Mine works better today than when new. Excellent device. I assume it was the most produced BB10 devise. Does any one know? I'm sure it was considering the write-down BlackBerry had to take on it unfortunately. Too bad because it still is a great phone. "A cow pie ain't something you bring to the county fair "
Given that billion dollar write down, probably.